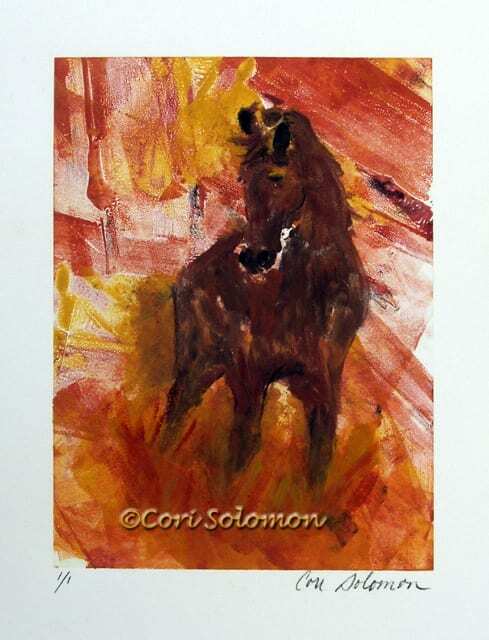 This hand pulled print, Monotype depicts a horse in the field. There is a peaceful gaze on the horse face. This artwork comes matted.